Dose Take 1 capsule twice daily preferably after meals or as recommended by the physician. Storage Temperature Store in a cool dry place. Keep out of reach of children. Protect from sunlight. Storage Temp. Store in a cool dry place. Keep out of reach of children. Protect from sunlight. Dosage Take 1 capsule twice daily preferably after meals or as recommended by the physician. 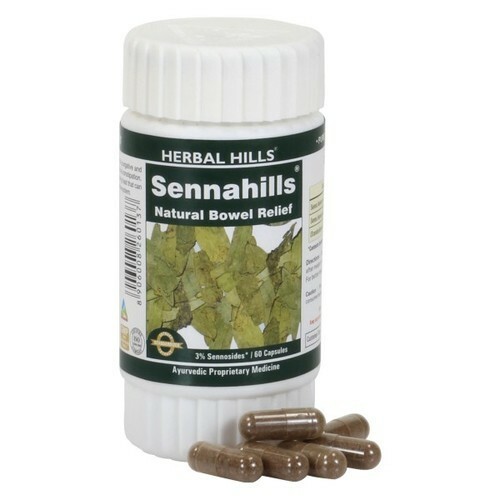 Isha agro developers is the leading and renowned manufacturer of herbal supplements we provide third party contract manufacturer & Distributorship of ayurvedic & Herbal supplements and it has been following the formation of herbal capsules such as Sennahills. Senna also called as Cassia angustifolia and its capsules are an Ayurvedic formulation of Senna leaves powder and Senna leaves extract. The leaves of Senna contains various nutrients and also exerts various medicinal properties. These herbal capsules may support healthy detoxification and also supports healthy living. Physician’s advice should be taken before consuming any herbal supplements. Take 1 capsule twice daily preferably after meals or as recommended by the physician.